Nokia's latest cell phone, the 6301, has Unlimited Mobile Access (UMA) technology, which means you can make calls over the Internet via Wi-Fi or Bluetooth, and revert to GSM when out of range. It's slim, lightweight, has a two-megapixel camera, MP3 player, FM radio, two-inch screen and a desk stand that makes you look important charges your phone while you're connected via WLAN. Stats, price and press release are all below. With a sleek stainless steel design, the Nokia 6301 phone launched today is not only stylish, but offers consumers seamless voice and data mobility across GSM cellular and WLAN networks via Unlicensed Mobile Access (UMA) technology. The Nokia 6301 phone uses UMA technology to integrate the benefits of landline and a mobile phone, including seamless indoor coverage, sound quality and affordability. "The convergence of mobile and fixed/land-line technologies means consumers are looking for products that can help make their lives easier," said Peter Ropke, Senior Vice President, Mobile Phones, Nokia. "With the Nokia 6301 utilizing UMA technology, worldwide triband GSM coverage is combined with superior indoor WLAN coverage to create a device that people can use in virtually any situation. With UMA technology, the consumer can use the GSM network or a broadband Internet-connected WLAN network for mobile services. This can ensure excellent indoor coverage both at office and home. The consumer can have one multi-mode handset that works everywhere with enhanced and easy-to-use voice services. And, WLAN/UMA provides excellent coverage and sound quality, even in areas where mobile phone reception has previously been poor. With UMA technology, the Nokia 6301 benefits operators as well, allowing them to deliver voice and data services to subscribers over WLAN, substantially increasing mobile service availability while decreasing the costs related to network deployment. Orange will be one of the first operators to offer the Nokia 6301, as part of its Unik/Unique portfolio. Yves Maitre, Senior Vice President, Devices, Orange said "The Nokia 6301 is a stylish new addition to our Unik range of converged fixed and mobile phones. Orange's Unik offer brings together the convenience of a single phone and tariff at home and on the move and the widest range of UMA handsets. The Nokia 6301, with its sleek candy bar design and attractive stainless steel exterior adds to the appeal of Unik for Orange customers." 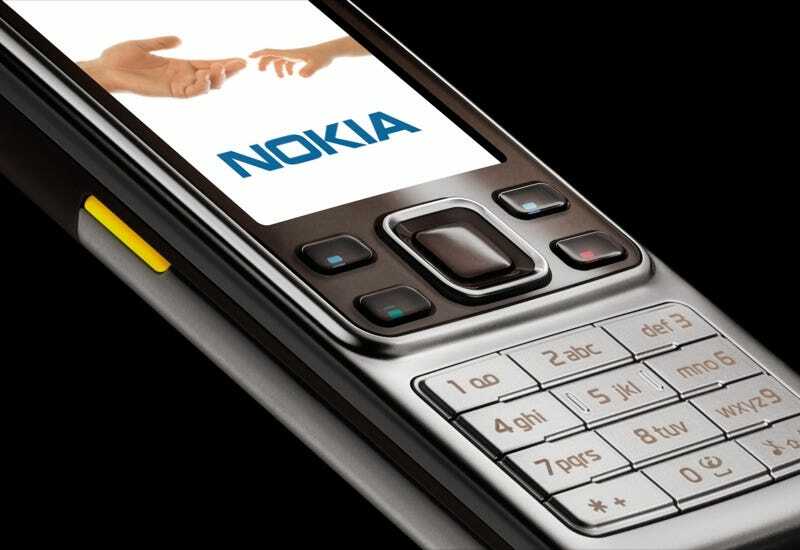 The Nokia 6301 is an evolution of the modern monoblock design. Weighing a mere 93 grams and measuring less than 13.1mm thin, the Nokia 6301 is constructed of quality materials. To accompany the UMA technology, the Nokia 6301 also offers consumers a modern suite of features, including a 2 megapixel camera with 8x digital zoom and full screen viewfinder. Ideal for home and office, the Nokia 6301 comes with an attractive desk stand, the Nokia Desk Stand DT-23, to hold the phone and keep its battery charged while connected to WLAN. The clean lines and recessed buttons of the Nokia 6301 are highlighted by a stainless steel frame with hand-hugging curves. In addition, the Nokia 6301 includes: - 2-inch QVGA screen - USB/PC Synchronization - Internal user memory of 30MB and 128MB in-box microSD card, with support for up to 4GB microSD cards - Voice dialing, voice commands and voice recording - MP3 player, FM radio - Integrated hands-free speaker The Nokia 6301 has a talk-time of up to 3.5 hours and a standby time of up to 14 days. The Nokia 6301 is expected to begin shipping to select markets in Europe during the fourth quarter of 2007 with an estimated retail price of 230 euros before subsidies or taxes.